Looking for that perfect gift for your person of interest who has friggin’ everything? 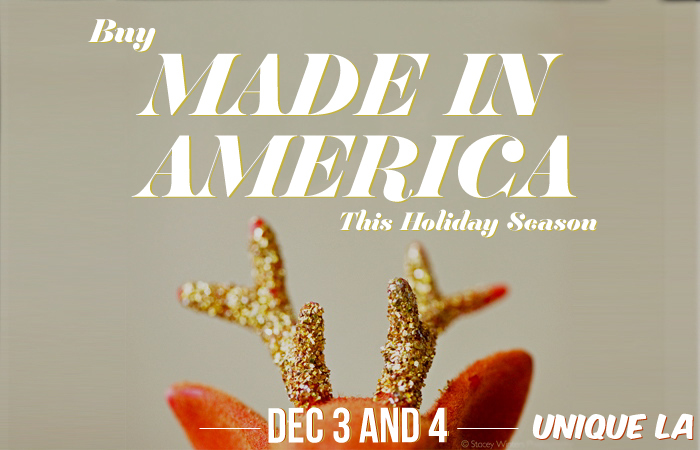 Well, lucky for you, my favorite circus of local hipster-handmades is coming to town! Unique LA is now a huge deal and has morphed into the STATE OF UNIQUE which produces shows in NYC and SF as well as our fine City of Angels. You can read more about the show in my previous post for Unique LA’s Summer Show or you can watch this little video that I put together for you. My video is from their first ever Summer show which was held in Santa Monica. The Holiday Show is a little different, in that it is Downtown at the gorgeous Penthouse at the California Market Center and that the vendors will have perfect holiday gifts for your bestie, your Facebook stalker, or your barista secret crush. The California Market Center (CMC) is where Unique LA calls home for their Spring and Holiday Shows. Access to Amoeba’s rockin’ downtown Pop-Up Shop – exclusive just for us! Try to carpool. It’s downtown so unless you took the metro, you’ll probably have to pay to park. Try to buy your tickets online before you go. It usually saves you time at the entrance as the “pay there” line is usually longer. Bring a friend and a re-usable bag. Your friend can stand in the beer line for you or help you decide which hat looks better on you. The re-usable bag, well you know, is for all your loot.